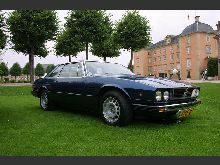 Built between 1975-1977 the second Maserati model to wear four doors was once again badged as a "Quattroporte". 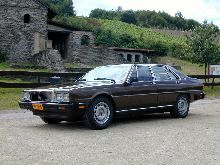 The Quattroporte II was produced by Maserati at a time when Citroen still owned the company and so many components from the parent company were used in there flagship saloon. 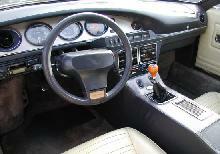 The Quattroporte II used a 190bhp V6 engine, Citroen SM hydraulic suspension and air-conditioning. 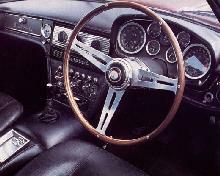 The Quattroporte II was drastically underpowered due to its immense body weight. The Quattroporte II was finally killed off by the collapse of Maserati in 1977.